The Fiji Sugar Corporation has targeted China, Japan and Taiwan and our Pacific neighbours for sugar sales because of the higher prices they pay compared to Europe. The move is also a commercial one in that it would be much cheaper shipping to these countries as compared to Europe or the United States because of freight costs. This was revealed by FSC chief executive officer Graham Clark following a board meeting at the company’s head office in Lautoka. “In order to capitalise on Fiji’s geographic advantage, discussions are underway with potential new customers in China, Japan, Taiwan and Korea,” Mr Clark said. Mr Clark said FSC was now entering its 17th week of crushing at Labasa whilst Lautoka and Rarawai had started a week later. “So far this season, Labasa has crushed 478,326 tonnes of cane, Lautoka 367,432 tonnes and Rarawai 395,705 tonnes,” Mr Clark said. “Sugar manufactured to date totals 137,511 tonnes, which is 28,524 tonnes or 26 per cent more than in the same period in 2016. Mr Clark said the performance of the factories had been encouraging, with the Lautoka and Rarawai Mills in particular showing good improvement. 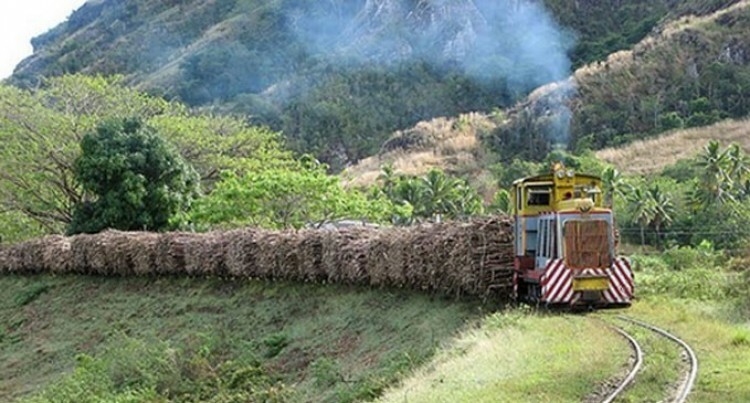 Mr Clark added the industry now has 44 mechanical cane harvesters in operation and these have provided a welcome boost to harvesting in all mill areas. Extremely dry weather since April 2017 has had a negative impact on cane yields. The period April to August 2017 has seen rainfall reduce to less than half the long term mean, and contrary to initial expectation of near normal rainfall, the dry weather across all areas of the cane belt is now expected to continue – at least until November 2017. With the lower anticipated cane crop, the 2017 season was expected to be concluded by mid-November 2017. Total sugar sales had reached 93,096 tonnes by the end of August 2017. Mr Clark said improved off-take in the local market has seen steady volume being supplied to customers in Fiji. Molasses exports for 2017 are underway and the first bulk tanker will load molasses from Malau and Lautoka in September 2017. While supply to the Asian market continues, new molasses customers will also be serviced in the Caribbean market during 2017. The European Union sugar production quotas will end on September 30, 2017. Supplies of bulk raw sugar to European customers will now be conducted on commercial terms linked to the world raw sugar market. Mr Clark said in order to capitalise on Fiji’s geographic advantage, discussions are underway with potential new customers in China, Japan, Taiwan and Korea.